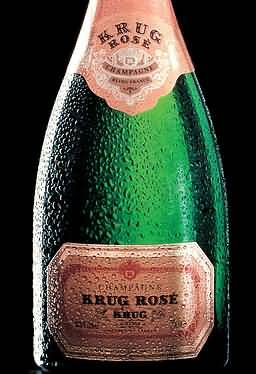 Rose or Pink Champagne gifts. Made by adding a small amount of red pinot noir or pinot meunier juice to the white base wine. In rarer cases, it is made by allowing brief contact with the red wine skins while the grapes ferment. Rose Pink Champagne presented branded box gifts.